Imagine a view that stretches out across hundreds of miles of Kenya’s Great Rift Valley, where the light plays on the hills and Lake Baringo in a constantly changing picture. In this ancient landscape, very little has changed since our first ancestors first walked these very hills millions of years ago. 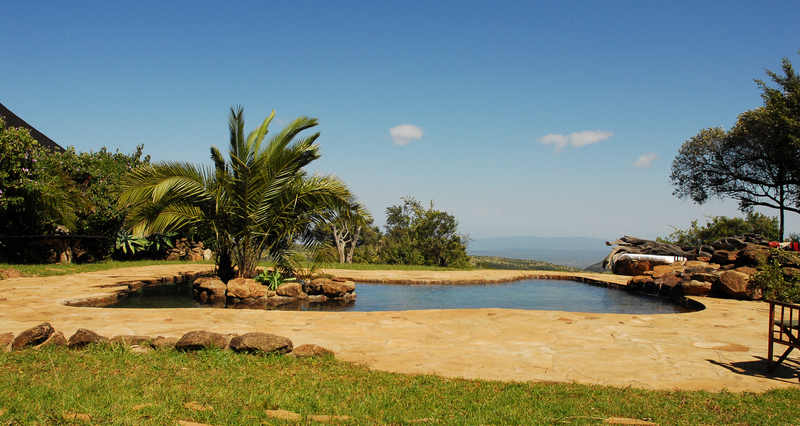 Makena’s Hills is a place of reflection and serenity, from which one can explore the wilderness of the Mukutan Conservancy. Regularly hosting creative retreats, events, gatherings and yoga retreats, one leaves Makena’s Hills feeling revived and healthy. Makena’s Hills sits on the highest point of Kurumakini Hill, with 360 degree views that leave visitors stunned and humbled by ancient and limitless horizons. The surrounding hills are perfect for long walks ending in secret spots for sunset and Engelesha Forest nearby is thick with cedar and huge acacias, brimming with wildlife including colobus monkeys and elusive melanistic leopards, many rare birds and endemic insects. A nearby cottage by a lake is the perfect place to while away an afternoon waiting for elephant and buffalo to come to the water to drink. Makena’s Hills is spacious and refined. 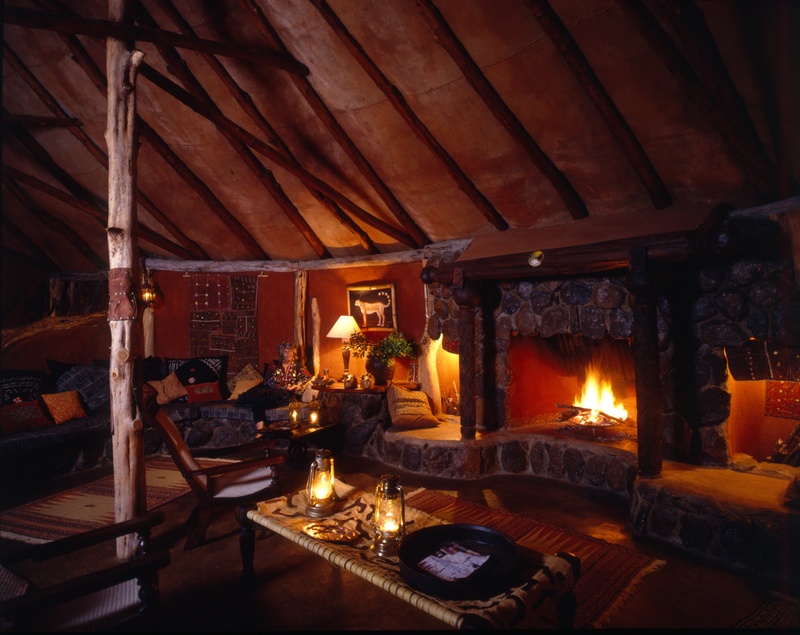 Special antiques and collectors items adorn each room and the living area and the feeling is very much one of being in a private and carefully looked after residence rather than a lodge. The main reception area has 2 fireplaces which are like private living rooms and individual dining areas as well as the ability to host everyone together for larger groups. 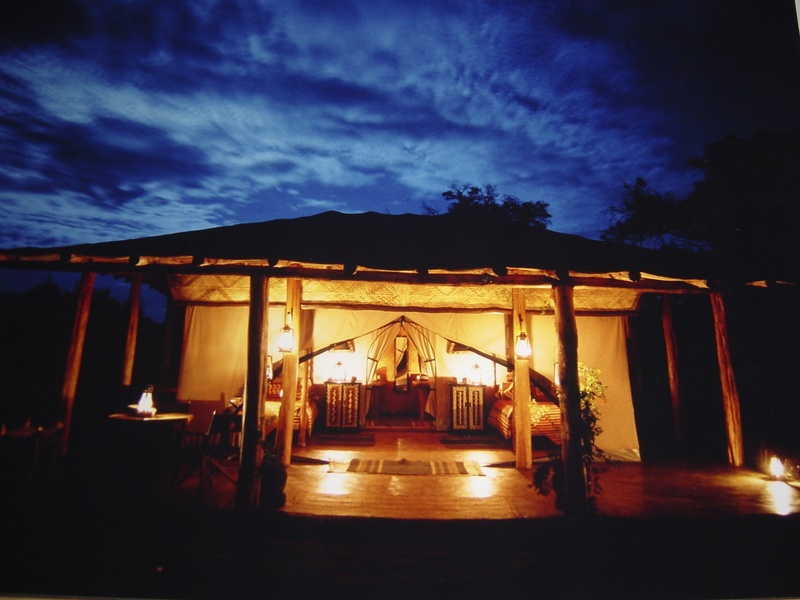 There is also a front terrace with a campfire and a natural rock swimming pool. 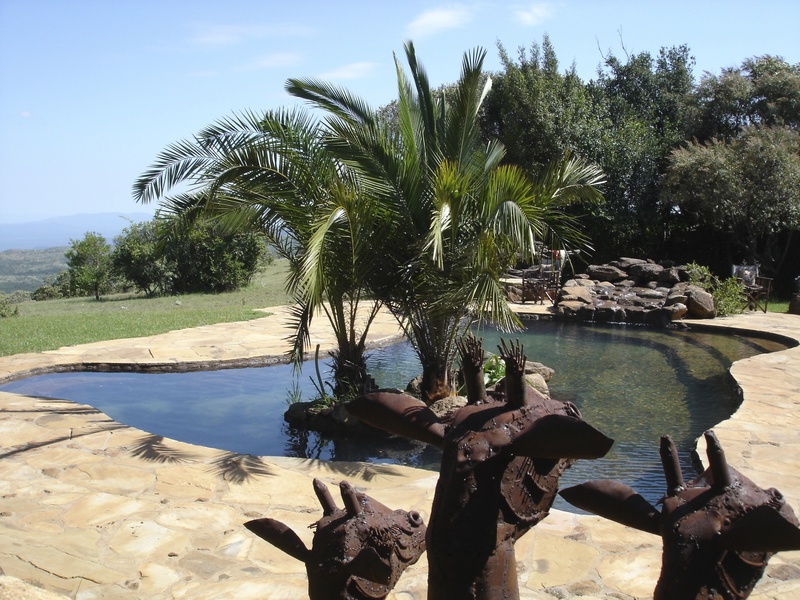 The Yoga Shala has stunning views and Kudu sometime come to watch if you feel like stretching out after a long walk. 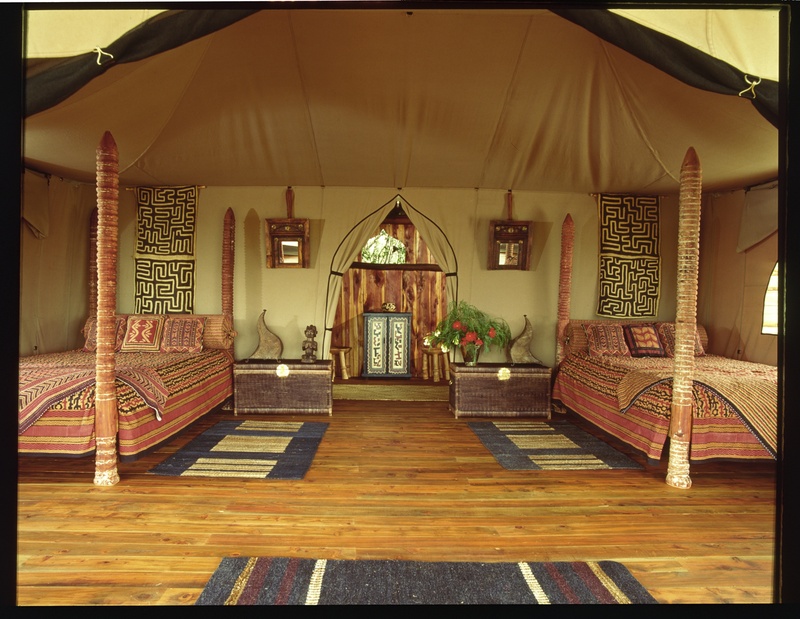 Six large and airy permanent Arabic Style Beige tents, all with exceptional views are filled with carefully chosen antiques. 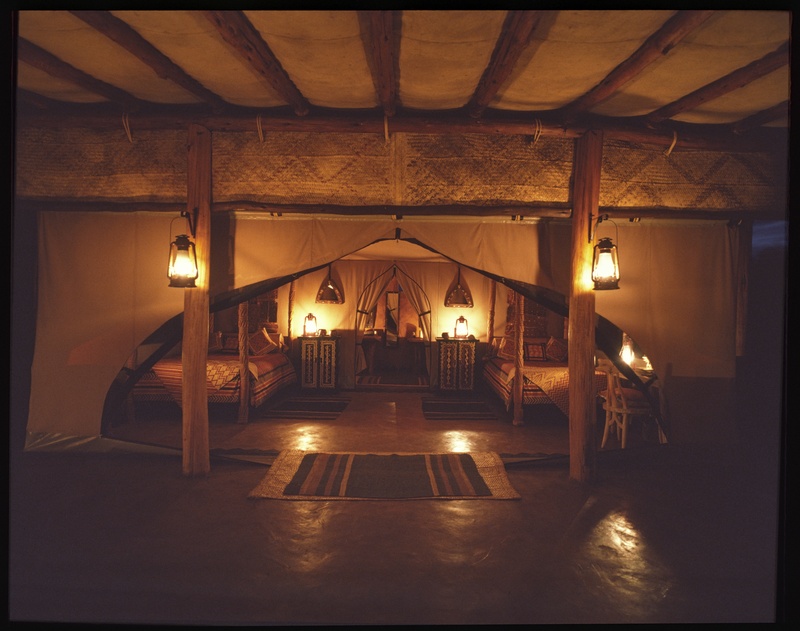 Each room has either a large double poster bed or 2 queen beds, a spacious dressing room and bathroom. 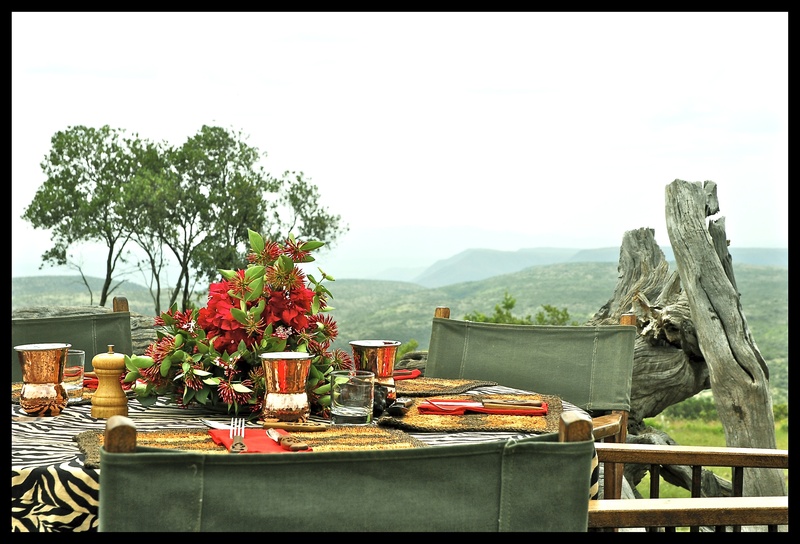 The tents are all on wooden or stone decks with large verandahs and a private breakfast table, or ideal for a private yoga lesson. Food is innovative, fresh and healthy, locally sourced and picked from our own organic gardens.